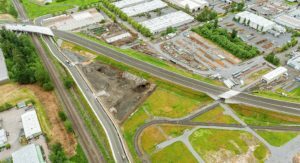 Sunrise Corridor Project for ODOT, Happy Valley, Oregon, received 2nd Place by the Daily Journal of Commerce as Transportation Project of the Year for 2016. 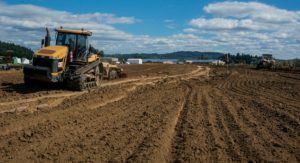 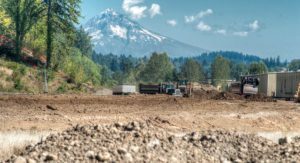 Project Description: The project greatly reduced congestion on the OR 212/224 corridor with two miles of new highway from I-205 to the intersection of OR 212 and 122nd. 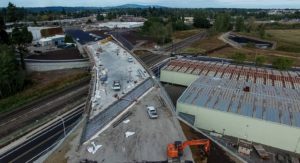 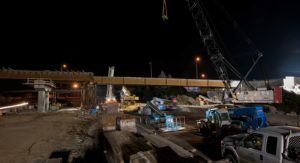 Included in the scope of work was over 300,000 cubic yards of general embankment, 200,000 cubic yards of stone embankment, 26,000 feet of new storm pipe, 18 retaining walls, 4 bridges, and the reconstruction of the existing bridge where 82nd Ave goes over I205. 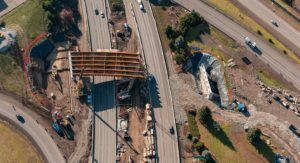 Construction began in July 2013 and the new roadway was open to traffic in June 2016.